JNN 27 Aug 2014 Delhi : The so-called Islamic State of Iraq and Levant (ISIL) radical group may be recruiting the poor in India for its war in Iraq and Syria, Indian sources have said. Sources were quoted by CNN-IBN on Tuesday that the terror outfit, which has already killed thousands in Iraq in a deadly pursuit to establish a caliphate, is recruiting poor Muslims in Kerala, Tamil Nadu, Karnataka, Maharashtra and Jammu and Kashmir. The security agencies say that more than 100 Indian men could have already joined the so-called Islamic State of Iraq and the Levant (ISIL) in Iraq. The terror group is radicalizing poor Muslims through online videos, they say. The sources add that an Indian militants wanted by the National Investigation Agency (NIA) could be recruiting for the ISIL and that these recruits could be used to strike terror in India once the war in Iraq and Syria ends. The NIA is currently preparing a dossier on ISIL activities in India. It all began with four Kalyan boys taking a trip to Iraq and then disappearing. Soon similar reports came in from families in Jammu and Kashmir and Tamil Nadu. Most disappearances were preceded by a letter begging forgiveness from family but expressing the desire to join the cause of war. The NIA says there is no clear indicator of how many boys have joined the ISIL but the recruitment drive is on for at least a year now. ISIL is currently focusing on Iraq and Syria but its idea of a greater caliphate includes India and several videos have been uploaded on YouTube exhorting Indians to join the cause. Investigators say that the man behind the digital mask could be Indian Mujahideen’s Sultan Abdul Kadir Armar, a resident of Bhatkal in Karnataka. In Tamil Nadu, men wearing T-shirts supporting the ISIL were recently arrested. An Indian-origin Singapore national has allegedly joined ISIL in Syria. Haja Fakhruddin has not been in touch with his Cuddalore-based family since March. With recent arrests of Indian terrorists, Indian agencies were upbeat about their fight against terror but the worry now is if Indians have indeed joined ISIL, they might use the new techniques and weapons to strike terror in India. The Philippine military said Monday it was checking reports that some Filipino Muslims were training with the so-called Islamic State of Iraq and the Levant terrorists in Syria and Iraq. The Filipinos allegedly left the country in July, according to Mayor Rodrigo Duterte of the southern city of Davao, where some of the recruits came from. Former president Fidel Ramos said last week that about 100 Filipinos were training to be terrorists in Syria. “I will validate that and take a careful look if there is basis to that so that we can take appropriate action,” said Major General Eduardo Ano, an army division commander. 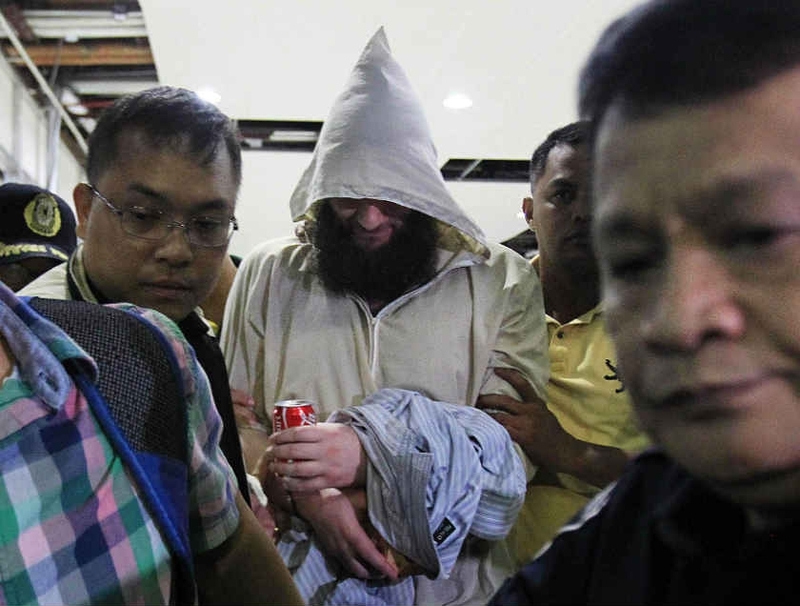 Local militant group Abu Sayyaf, which has been linked to the international al-Qaeda network, have pledged allegiance to the ISIL via videos posted on the internet. The military previously denied reports about Filipinos being recruited by the ISIL terrorist group. The number of ISIL Takfiri Terrorits fighting against the Syrian government amounts to more than 50,000, says the UK-based Syrian Observatory for Human Rights. The NGO said earlier that the terrorists managed to recruit 6,000 militants in the past month alone. The observatory’s director, Rami Abdel Rahman, said there were at least 20,000 non-Syrians among the terrorists. The observatory also said there were 1,000 foreign Terrorists among the raw recruits mostly from Chechnya, Europe, Arab countries, and China. Most of the militants had entered via Turkey, Abdel Rahman said, adding that other recruits joined the ISIL from foreign-backed opposition groups, including 200 from the al-Qaeda-linked al-Nusra Front that initially cooperated with ISIL. The ISIL terrorists currently control a swathe of eastern Syria and western Iraq. The United States government is tracking as many as 300 Americans supposedly fighting with Islamic State, the jihadist group with a heavy presence in parts of Syria and Iraq, according to senior US officials. Washington is worried that radicalized foreign fighters could become a risk to the US if they return to employ skills learned overseas to carry out attacks, anonymous US officials said, according to the Washington Times. Past reports have put the possible number of Americans who have flocked to the fundamentalist extremist group Islamic State (IS, also known as ISIS and ISIL) at around 100. IS, a former Al-Qaeda affiliate, gained strength fighting Bashar Assad’s forces in the Syrian civil war before turning to cross the border into Iraq, where they have made swift gains in western and northern sections of the volatile country. The US State Department did not respond to the Washington Times when asked to comment on Americans fighting in Iraq or Syria. The news of as many as 300 Americans fighting with IS comes one day after reports that a 33-year-old American, Douglas McAuthur McCain, was killed over the weekend in Syria while battling alongside Islamic State against members of a separate opposition group. Family members confirmed his passing to NBC News, and senior US officials acknowledged that they were aware of the man’s death. McCain had expressed support for IS on his Twitter account. The Secret Service is investigating the photo near the White House. The FBI and the Department of Homeland Security issued last week a bulletin to local law enforcement agencies to be alert without identify a specific threat. “We continue to use every tool we possess to disrupt and dissuade individuals from traveling abroad for violent jihad and to track and engage those who return,” US National Security Council spokeswoman Caitlin Hayden said. The alleged IS killer of kidnapped American journalist James Foley, shown in a video last week before he was supposedly beheaded, said that militant Muslims are proliferating throughout the world, not just in Iraq and Syria. The Obama administration believes any potential attack by American jihadists returning to the US would likely be carried out on a small scale, such as suicide bombings, and not a time-consuming long-range plan such as the attacks of Sept. 11, 2001, according to White House spokesman Josh Earnest. Senior US officials said, according to the Washington Times, that intelligence agencies will put any Americans affiliated with IS on an appropriate watch list or no-fly list. “I know that law enforcement agencies in Homeland Security are mindful of some Americans who have become radicalized, and some have taken up with [the Islamic State],” an official said. How the Department of Homeland Security would track such Americans was not immediately clear, according to the report. Despite all the consternation in official Washington over such potential threats, observers note that IS has gained strength from the financial backing of United States’ allies in the Middle East, including Saudi Arabia, Kuwait, and Qatar. Elite donors of American allies in the Persian Gulf region have poured an immense amount of resources into rebel groups like IS in efforts to advance on three general goals: opposing Iran, its ally Bashar Assad and his government in Syria, and fomenting the Sunni-Shia divides in the region. Meanwhile, the United States has also supported so-called “moderate” Syrian rebels with both lethal and non-lethal aid, lending to fears that arms sent with the help of the Gulf states were channeled to the likes of IS. In addition, Western incursions in the region, namely the 2003 invasion of Iraq that ushered in a brutal sectarian war that still divides the country today, have led to extreme instability, creating a power vacuum for militant groups to fill. In light of IS advances across Syria and Iraq, the US Department of Defense is considering a number of options for President Obama to consider, including airstrikes against militant positions in Syria, similar to those the US has recently carried out against IS in Iraq. The US insists, though, that there are no plans to coordinate anti-terror attacks with the Syrian government. This entry was posted in Asia Pacific and tagged Filipino Muslims, India Terrorists, ISIS, Recruitment, Terrorists. Bookmark the permalink.